In today’s world, technology and irrigation go hand in hand. 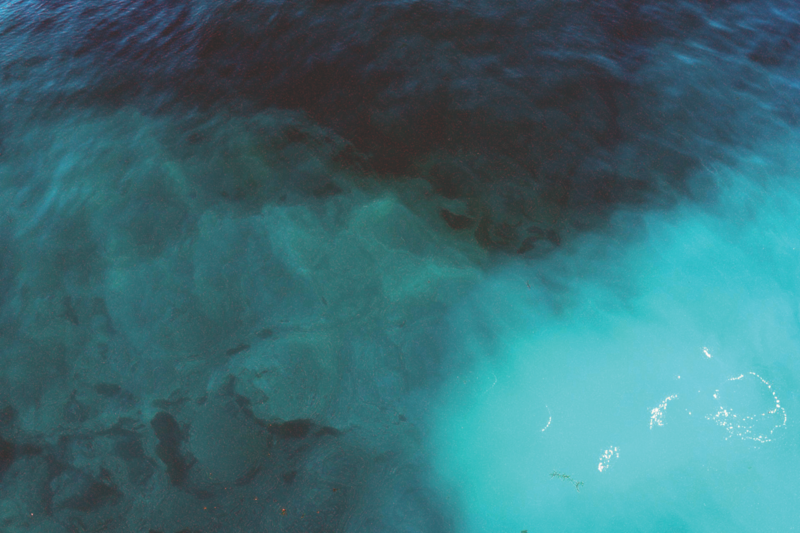 With new sensors, controls, and software programs, irrigation systems have become ever more efficient with the goal of increasing yields for water users. However, some professionals are left wondering how to use these new technologies or unsure of their benefits. To remedy this, Texas A&M University started the School of Irrigation to provide training and research findings to agricultural and landscape irrigation professionals. The program aims to promote efficient irrigation practices and to coordinate irrigation research and development to benefit researchers and irrigators alike. 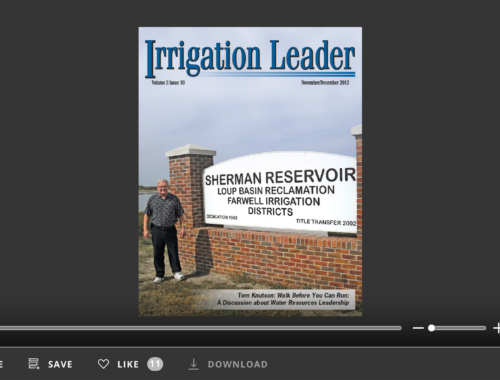 In an interview with Joshua Dill, the managing editor of Irrigation Leader, Charles Swanson, the School of Irrigation’s extension program specialist in landscape irrigation, discusses the program he and Dr. 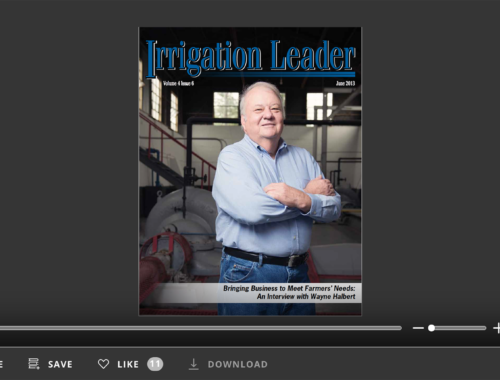 Guy Fipps lead at Texas A&M and how it trains irrigation professionals on new technologies and equips them with data to better manage their operations. Joshua Dill: Please tell us about your background. Charles Swanson: I am an extension-program specialist with the Texas A&M AgriLife Extension Service based in the biological and agricultural engineering department at Texas A&M University. The School of Irrigation is an extension program within this agency. I grew up on an irrigated rice farm on the gulf coast of Texas. My familiarity with rice farm irrigation was an important factor in my choice to study agricultural engineering and agricultural systems management, focusing on irrigation, as an undergraduate at Texas A&M. I continued that work during my graduate studies at Texas A&M as well, in which I studied irrigation for rice efficiency. When I graduated, I was offered the opportunity to continue the work I was doing in this department for Dr. Guy Fipps, who created the School of Irrigation in the early 1990s to address irrigation education needs. I have been working for Dr. Fipps and the School of Irrigation since January 2008. Joshua Dill: Would you tell us about the history of the School of Irrigation? Charles Swanson: The School of Irrigation was established in 1994 with the primary purpose of providing landscape irrigation training. In the early 1990s, the program received a grant from the Texas Water Development Board to evaluate the potential cost savings of adopting landscape-irrigation auditing in Texas. That grant allowed extension specialists to attend a variety of auditing programs, like the one at the Irrigation Training and Research Center in California. They adapted what they learned to create a Landscape Irrigation Auditing and Management Program in Texas. That program became the first course in the School of Irrigation. At that time, there were no rules or regulations regarding auditing in Texas, so the school also offered a voluntary auditor certification training program. Additional landscape irrigation courses were added over time. 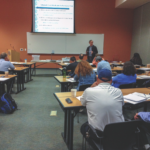 In 1998, the school began offering training programs for water districts on subjects including irrigation district engineering and GIS water-flow measurement and management. The school has also offered various courses over the years on topics like drip irrigation and center-pivot irrigation. We currently have an online course on center-pivot irrigation operation and management. Joshua Dill: How has the School of Irrigation’s programming changed over the 20 years of its existence? Charles Swanson: Over the last 10 years, during which I have been here, we have adopted online training programs, which give growers and users across the country access to our training materials. Joshua Dill: Would you describe your student body? Charles Swanson: Our program educates around 400 professionals every year. The majority of our students are landscape irrigation professionals. The State of Texas has an irrigation license program that certifies licensed landscape irrigation inspectors, licensed landscape irrigators, and licensed landscape irrigation technicians. Those certifications are managed by the state. Maintaining those licenses requires participation in continuing education courses. Our program is one of the largest providers of those educational courses. 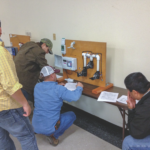 Students in the Irrigation Troubleshooting and Performance Testing course evaluate mock irrigation systems in the classroom. Dr. Guy Fipps conducts a lecture during a short course in irrigation auditing. On the agricultural side, we have had a wide mix of users. Our online center-pivot course attracts people in Texas who are interested in purchasing their first pivot and are searching for information. Our program has had lots of experience with international training. We have held in-person programs in Iraq and in Africa on center-pivot irrigation. Joshua Dill: How do your classes address changes in technology? Charles Swanson: The majority of our classes are highly focused on technology. In our program, we regularly evaluate and test new products and technologies. The information we collect from our evaluation programs is a crucial part of our training materials. What we teach is not just theory, but practical information about these technologies. Joshua Dill: Would you provide an example of how you incorporate the information you gather into your classes? Charles Swanson: We do lots of extension demonstrations with growers and county agricultural agents around Texas, and we document our findings. For example, if a grower updates the sprinklers on their pivot, we evaluate and document the experience of that grower and the advantages in yield or management they may have experienced. We then use that information in our training program to educate other users who may be interested in adopting the same product or technology. Joshua Dill: Which classes are most in demand by your students? Charles Swanson: As I mentioned, a majority of our students are landscape professionals, so there is a real mix of topics. There are 14 classes we are approved to teach for continuing education by the Texas Commission on Environmental Quality. The most popular courses revolve around technology, for example, computer-aided design courses in which we teach students how to design irrigation systems using computer programs. The classes on smart-technology controllers and sensors are also popular. Any course with a hands-on component, such as our auditing program, in which students learn by using a real system, is popular. Students prefer that sort of training to being in a classroom, working on worksheets and theory. Joshua Dill: Would you tell us about how your classes incorporate smart controllers and computer-aided design? What recent developments have occurred with that sort of technology? Charles Swanson: Our computer-aided design courses help train irrigators to create better irrigation systems. The biggest advantage of those software packages is their calculation tools. 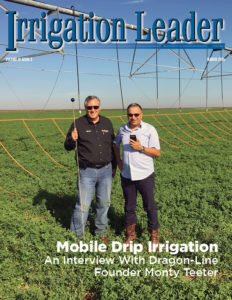 Irrigators whose math skills may not be so strong can rely on these programs to calculate things like pipe sizes, friction loss, and flow rates. They can also use these programs to evaluate the performance of their systems and to evaluate different layouts for their systems. When it comes to smart controllers, we are able to offer a unique and independent perspective on different technologies, because we have actually used these systems and can say which ones performed best. In our training, students actually have the opportunity to program different controllers, which allows them to learn how they work and how to use them in the field with their clientele. Joshua Dill: Would you tell us about your classes on using wind and solar power for irrigation? Charles Swanson: Irrigators need to be efficient not only in the amount of water they use but also with how they pump their water. 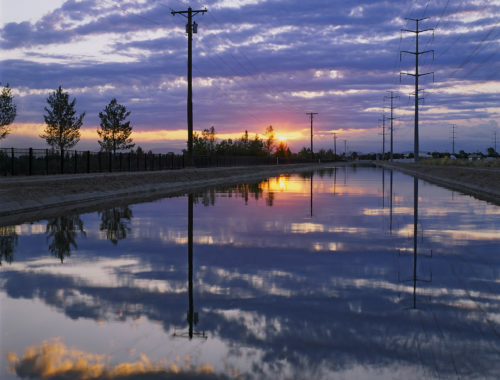 Training on solar- and wind-powered pumping technologies has helped irrigators manage the costs of grid power and pressurizing their systems. Joshua Dill: What about your program is specific to conditions in Texas? Charles Swanson: Our ties with the university extension system give us access to the latest research in irrigation. We have research centers all around the state focusing on different regional challenges, and we are able to reach out to researchers there to learn about their knowledge and experience to enhance our training programs. Joshua Dill: Do your alumni stay involved with the program? Charles Swanson: We have a lot of return students on the landscape irrigation side. Many students come back to our programs every year instead of going to private providers. Joshua Dill: Could you tell us about the certifications and recognitions your program has? Charles Swanson: Since we created this program in 1994, our program has become a professional certification organization and a part of the U.S. Enviromental Protection Agency (EPA) WaterSense Program. That means that students attend specific training and meet basic guideline requirements to become certified professionals. 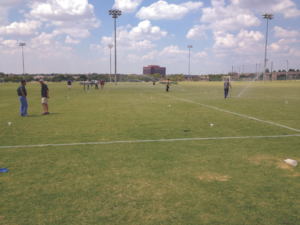 In particular, we certify students as Texas-certified landscape irrigation auditors. That program is certified with an EPA WaterSense label. One benefit of that is that the students who complete the certification are listed in a database on the EPA’s website so that people can search for them. 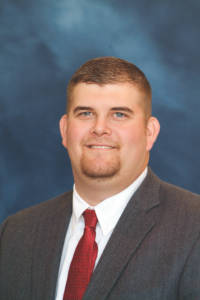 Joshua Dill: What is the School of Irrigation’s vision for the future? Charles Swanson: I see us expanding our online course catalog. A majority of our participants are based in Texas, but a lot of people from outside the state do find us online. I foresee expanding these online programs over the next few years to reach a broader audience interested in irrigation and water conservation. Charles Swanson is an extension program specialist at Texas A&M’s School of Irrigation. He can be contacted at clswanson@tamu.edu.